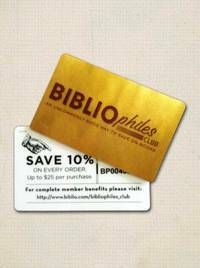 New Orleans, Louisiana, U.S.A.: Vissi D'Arte Books, 2002. PLEASE NOTE D/J POOR.3 INCH Closed tear to front d/j.The dazzling masquerade of New Orleans' Mardi Gras opens its arms wide, dances, and flaunts, full colour and full page, in this book. McCaffety takes the art of portrait photography to North America's biggest costume party. A photographer with an anthropology degree who has recorded cultures all over the world, she returns to her hometown to capture the spirit of New Orleans' masquerade with a sharp wit, fresh vision, and profound sensitivity. The celebration in the streets, with a backdrop of lace-iron balconies and old oaks, combines with stark portraits of costumed citizens photographed in a Royal Street courtyard-turned-studio on Fat Tuesday. Accompanying the parade of images, a wry introduction by Cynthia Reece McCaffety explains the history behind this tradition of costuming and indulgence that goes back thousands of years. 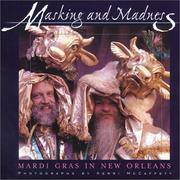 Winner of the 2003 Gold Benjamin Franklin Award from Publisher's Marketing Association, "Masking & Madness: Mardi Gras In New Orleans" is the only book devoted to the costumes of Carnival, a luminous portrait of the celebration that defines America's most profanely spiritual city, by New Orleans' preeminent photographer. Over 170 photographs capture the stunning spectrum of Mardi Gras, New Orleans style.176pp.. First Edition. Cloth. Very Good/Poor. 4to - over 9¾" - 12" tall. Place: New Orleans, Louisiana, U.S.A.